She's here. In the wee hours of the morning, Thursday October 8th, Baby E came into the world with a full head of blonde hair and the sweetest temperament known to baby. All exactly 7 pounds of her. She has been sleeping and eating like a champ, and doesn't even blink at the crazy swirling around her in the form of her two big siblings. 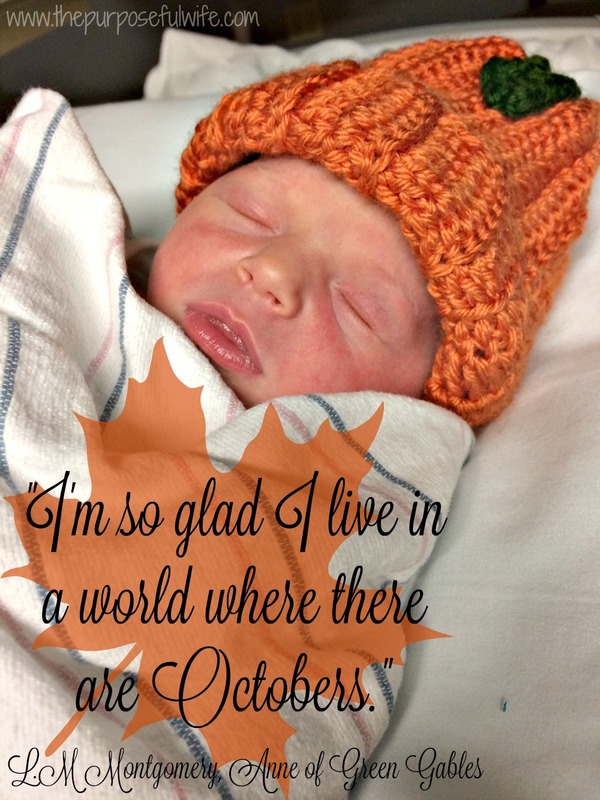 Autumn is already my very favorite time of year, and I couldn't be more delighted to have a little October baby. We've battened down the hatches and have just been laying low at home, enjoying snuggles and slippers and tea drinking as the days get cooler and the leaves change outside our windows. We are all enjoying the newest member of our family. Thank you for all of your prayers and encouragement throughout my pregnancy! Here are a few pictures of our newest little lady. I'm sure I'll be sharing details of her birth and more pictures in the weeks to come.